I am Leonard from California USA. 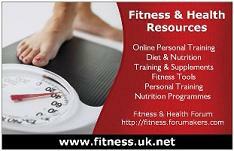 I am new one for the Fitness forumakers and recently joined it. It is very good site to share and discuss about the health, fitness, and diet. I got a lot of help about my health matters from this site. This is Rebbica i am new to this forum. I would like to share my ideas and doubts in this forum. Hi I am new every one and i am here to get lots and lots of new information regarding fitness and share my experience as well.